This guide features easy-to-follow techniques, tips and step-by-step demonstrations providing guidance and encouragement for beginning artists. 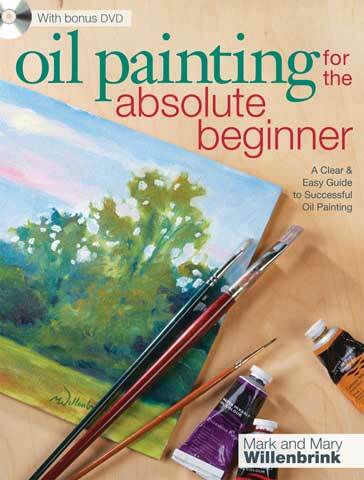 It covers the basics of oil painting to key principles on color and composition. Ten mini demonstrations and 12 complete painting demonstrations focus on familiar subjects and simple compositions such as landscapes, still lifes and flowers. It also includes a 90-minute DVD that presents two oil paintings from start to finish.